This Thanksgiving, between preparing the turkey and passing it around the dinner table, you may experience a lag with nothing to do. Fear not – here are activities that will get you through the lulls. The Macy’s Thanksgiving Day Parade is a Thanksgiving tradition akin to stuffing the turkey. The first parade marched through New York City in 1924, and the first TV broadcast occurred 24 years later. This year, there are new additions to the giant balloon lineup, including Olaf from “Frozen” and Cookie Monster from “Sesame Street.” Of course, you can still catch older, more traditional balloons, such as Charlie Brown and Pikachu. NBC will broadcast the parade live starting at 9 a.m.
Thanksgiving Day will be full of fun and football. Tune in to catch six teams compete for victory. The first game will start at 12:30 p.m. with the Minnesota Vikings taking on the Detroit Lions on Fox. Then, the Los Angeles Chargers will travel to Texas to play against the Dallas Cowboys at 4:30 p.m. on CBS. The final professional matchup of the day will take place 8:30 p.m. when the New York Giants compete against the Washington Redskins on NBC. If you’re missing college football, the Ole Miss Rebels will play the Mississippi State Bulldogs at 7:30 p.m. on ESPN. If you are looking for things to do outside of the house, Miami has several events planned for the holiday. Instead of eating a turkey, why not run like one? Turkey Trot Miami is sponsored by Publix and has different running options, so anyone can participate. There will be a 5K, 10K and kid’s course. Races start in Tropical Park and run along Bird Road. Along with the races, there will be food and shoe drives to help those in need. Registration after Nov. 19 is $42 for the 10K, $37 for the 5K and $22 for students 18 and under. Before you gobble down Thanksgiving dinner, trot through Thanksgiving morning. See the website for more ticket information. 5:30 a.m., Tropical Park, 7900 SW 40th St., Miami, FL 33155. Up north it may be cold, but in Miami it is almost always perfect weather for the beach. Soak up the sun at South Beach or Crandon Park while your turkey brines. Don’t forget to bring sunscreen and a hat. Crandon Park is open daily from 8 a.m. to 5 p.m. and admission is free, but there is a parking fee of $5 on weekdays and $7 on weekends if you drive there. Do you want the joy of the beach but with more activities? Oleta River State Park will be open for Thanksgiving and is the perfect spot for some outdoor fun. You can kayak and canoe, go on horse trails, visit the museum and scuba dive for an all-day affair. Oleta River State Park offers these activities at a various locations across Florida, so check to see what is available near you even if you are not in Miami. Park admission is free, but there is a parking fee when you enter that changes according to how many people are in your car. It’s never too early to get in the Christmas spirit. Thanksgiving officially marks the beginning of the Christmas season. Santa’s Enchanted Forest has opened its doors for the 35th year and will run through Jan. 7. A “holiday theme park,” Santa’s Enchanted Forest has a variety of rides, carnival-themed attractions and wintery fun. Tickets are $33.64 for a single day. For more ticket information, visit the website. Open from 5 p.m. to midnight daily. Tropical Park. After Thanksgiving is over, you may wonder what to do next? The day after Thanksgiving, Friday, Nov. 24, Bayfront Park will hold its annual Christmas tree lighting ceremony. The pine tree stands over 50 feet tall and will be ushered in by a countdown and holiday music. The event is free, although parking in Bayfront costs varying prices. The lighting occurs promptly at 7 p.m.
Dinner is over, pie is being served and your guests are still looking to mingle. This is the perfect opportunity to play an after-dinner game. No matter how old you are, these games will be a hit. 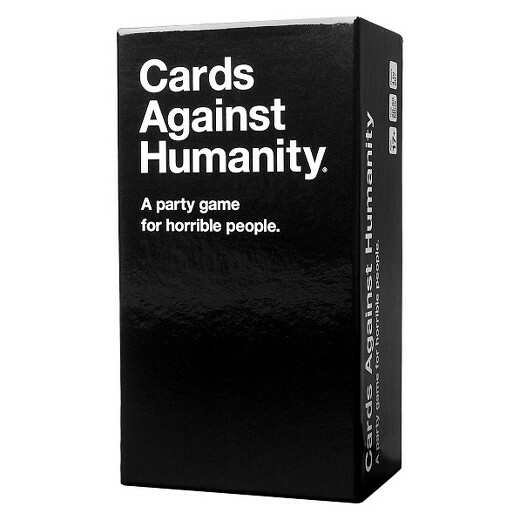 This classic card game is sure to stir up laughs with its dirty, crude and hysterical cards. You may not want to play with grandma, though. A new and improved twist on the classic “would you rather” game, this game is perfect for a large group. Over 250 cards describe nasty situations you must choose from, so start picking. An adult spin on the age-old Pictionary game. One must draw and others must figure out what he or she is drawing. The biggest twist is that the given clues are both inappropriate and hilarious. The perfect game for you and your friends if kids will be attending your dinner. This comparison game with tons of scenarios is like a G-rated version of Cards Against Humanity. 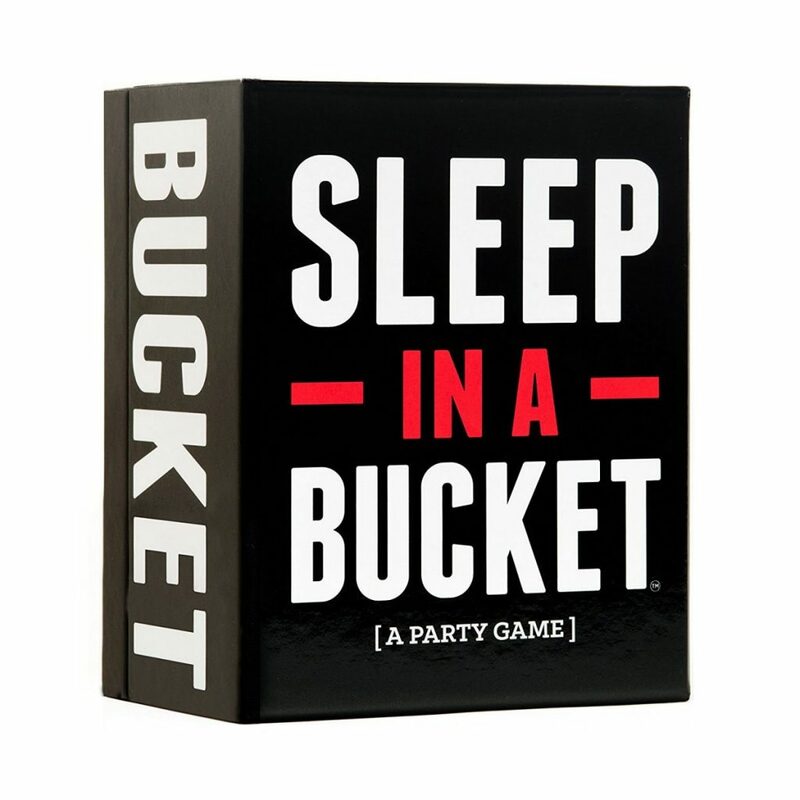 The adult version of the popular “Taboo” game. This is hilarious, and not too crass to play with tamer family members. All games are available to purchase on amazon.com. It’s easy to get caught up in the commercialism of the holiday season, but it’s important to remember that not everyone is able to spend this time of year in a comfortable home with family, singing holiday songs and indulging in delicious food. With your extra free time over the next week, taking a few hours out of the day seems like a small commitment to make to show the those in need that someone cares. Below are five great ways to get involved and give back this Thanksgiving. At 2 p.m. Thanksgiving day, Christ Church is hosting a shared meal at its Pompano Beach Campus. Not only do they need help with serving guests and cleaning up, they also need volunteers to assist with food preparations. Shifts are available Nov. 18 and Nov. 20 for prep and Thanksgiving Day for set up, serving and clean up. This is a great way to give back and get a delicious home cooked meal all at the same time. 210 NE Third St., Pompano Beach, FL. 954-943-0404. Visit http://www.echristchurch.org/thanksgiving for more details. Miami Rescue Mission has been serving Miami and Broward’s homeless since 1922, and the holiday season is no exception. Last year, more than 600 volunteers served more than 3,300 traditional turkey dinners. The organization always needs additional helping hands, and if you can’t make it, donations are greatly appreciated; just $2.10 provides a delicious Thanksgiving meal to someone in need. Visit http://www.miamirescuemission.com/ for more information on how to get involved with the organization or https://my.miamirescuemission.com/ to make a donation. A non-traditional way to give back, this is a great opportunity for any vegans or otherwise turkey-lovers during this holiday season. From 9 a.m. to noon on Thanksgiving Day, Choices Café will be hosting Trot for the Turkeys, a walk/run tot bring awareness to keeping turkeys off the dinner table. The course is approximately three miles long, starting at Choices Café in Coconut Grove. Walkers/runners of all levels are welcome. Participants get complimentary organic fair-trade coffee and a free T-shirt. Visit here to register and here to learn more about the cause. If there’s no time to attend any of these events, random acts of kindness are always a great way to brighten someone’s day. It can be as simple as paying for someone’s coffee or giving someone a compliment, and the best part is it takes up no more than a minute of your time. Get into the holiday spirit and pay it forward this holiday season. The absence of a crisp autumn breeze does not mean that Miami students can’t fall into the season in style. This Thanksgiving break, bust out some tights and autumn-colored items – here are some trendy ways to dress for the season as a true Floridian. Nothing is more perfect for the colder weather than cool colors and comfy sweaters. Sometimes less is more, and monochrome looks are in this season. Just because the leaves don’t change colors in Miami doesn’t mean you can’t still see fall colors. Be bold and choose bright yellows and deep reds like your favorite fall style icons. Don’t forget some yellow-toned sunglasses to complete the look. You don’t have to be a shop in the women’s section to hop on the bandwagon and strut your stuff in the everyone’s favorite army-green jacket. To stand out this fall, make sure to match your belt to your shoes for an attractive and sophisticated look. It only takes a little effort to tie your look together. This season, introduce a taste of Paris into your wardrobe by creating a look with black and white stripes. Use hints of deep red to add a flair of fall color.